Are you curious about the idea of biomimicry or nature as mentor? How would designers, architects and engineers learn from nature to design products that are innovative and sustainable? This article will share more about the concept of biomimicry, and reveal how renowned designer, David Oakey, applies biomimicry in designing carpets for InterfaceFLOR, a pioneer in sustainable manufacturing and business practices. Biomimicry (from bios, meaning life, and mimesis, meaning to imitate) is a new discipline that looks at nature as mentor – what we can learn from nature and emulate nature’s forms, processes, patterns and strategies, to seek sustainable solutions. How will we feed ourselves? Growing food like a prairie. How will we harness energy? Gathering energy like a leaf. How will we make things? Weaving fibers like a spider. How will we heal ourselves? Finding cures like a chimp. How will we store what we learn? Computing like a cell. How will we conduct business? Running a business like a redwood forest. After 3.8 billion years of evolution, nature has learned what works and what is appropriate. We should value and treat nature as a mentor and find out what we can learn from it. We can solve human problems by taking inspiration from or imitating nature’s designs and processes. InterfaceFLOR is widely recognised as a pioneer in sustainable manufacturing and business practices, and is a market leader in modular floor covering products. The company’s late founder and chairman, Ray Anderson, set InterfaceFLOR on a Mission Zero journey to become the first sustainable company by 2020, and achieve a zero environmental footprint. 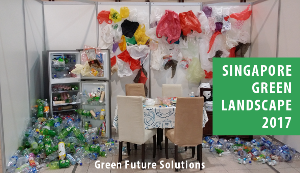 The company’s aim is to move from the traditional industrial approach of ‘take, make, waste’ and move towards a more natural or cyclical system of material and resource flows. The Lead Designer for InterfaceFLOR, and Founder of David Oakey Designs, David Oakey is often regarded as one of the foremost advocates of biomimicry and sustainable design, leading global efforts to educate, inspire, and inform everyone from architects to business leaders around the world. We recently met up with David to understand more about his work and ideas on biomimicry. David shares that the idea of biomimicry attracted and resonated with him because he grew up in England, in the countryside, and was fascinated with nature. He would know every bird’s nest and study how nature works, it was all he had to play with. Children today do not get connected and learn with nature. We have to know the other species and understand that our species is not sustainable and messing things up. In 1994, the late Ray Anderson stated that Interface would become a sustainable company, but David was not sure how to go about making carpets more sustainable. Paul Hawken recommended him to read Janine’s book on biomimicry. He met up with Janine who told him to follow nature’s principles. Nature is efficient, there is no waste, and nature makes shape by growing the shape, there is no cutouts. Ray’s sustainability vision and Janine’s biomimicry ideas changed David’s approach to design, and he changed his entire business model and his life to embrace and advocate biomimicry. David is also trying to get biomimicry taught in schools. Every year, he goes to the Georgia Tech university to teach biologists about biomimicry, and show them that they can help engineers, architects, and designers understand how nature works. David explains that the best way is to look at the differences and similarities between humans and nature. For example, list down how humans create buildings and the principles involved. Next, look at a tree and understand the principles of how the tree was formed. Find the common things and the differences, and imagine what it would look like if a building could be like a tree. With Ray not giving up on his vision, David looked at what they could do, and found that the biggest area is waste. There is waste in every process, and every business can start to change the ways they do things. Carpets were made of nylon, which is one of the most highest embodied energy material. Ray used to tell David that if they could reduce the weight of nylon in the products by 1 ounce, that would save energy to run the plants for 3 years. So David started by dematerialising – making the carpet thinner and reducing the use of nylon. The next breakthrough came through the recycling of used carpet. Using recycled content cost more than virgin material at that time, so they started by putting small recycled content in the carpets. Now, the United States operations use about 40% recycled content in the process. Entropy was the first modular carpet product by InterfaceFLOR that was inspired by biomimicry, and makes up around 50-60% of products sold. In the past, carpets were monolithic, uniform and all look the same. This creates problems in the manufacturing process, as one flaw or one mistake means that they lose the whole batch, since it does not match with the rest, and they have to recycle or landfill it. However in nature, there is no monolithic or uniformity, it strives on diversity. Why can’t carpets be made to look slightly different in color and design? Based on that principle, David worked with Janine to design the Entropy carpet tiles based on how nature designs a forest floor. Each tile has its unique pattern and coloration, thus installers can actually put the tiles in different directions. There is also no waste, and replacement of tiles became easier. David shares that the way forward is to close the loop by using recycled content. This is the best biometic inspiration because that is how nature works. David explains that if designers do not think about raw materials and processes, products and their life cycle, they will not be able to compete in the future. If designers don’t have sustainability on their mind, their company will start to struggle in the future. In the past, his thought process for products only revolves around color, design and cost, and he never thought about how the product is harmful to the environment, and what would happen when the product is dead. Now, he thinks about closing the cycle, and of what would happen to the product when it dies. Is it easy to take apart, to disassemble, and to recycle? David shares that the biggest trend is about where are we going to live. More young people want to live in the city and as more megacities are developed, there will be a need for more greener buildings, bringing nature back to cities, vertical farming, and reconnecting with nature in urban environments. The other trend is for offices to have an open concept and designing working environments to be fun and to attract and retain employees, and allow collaboration. David gave an example in nature: the male bowerbird builds its nest and decorates the floor to attract a partner. What are your thoughts? Are you using biomimicry to design your products? What’s your experience? Please leave your comments in the box below.